customizing concept. The rider can choose from a wide range of BMW Motorrad accessories for customizing his motorcycle and creating his very personal R nineT. BMW Motorrad is now expanding its range with a special aluminium fuel tank available in two versions: hand-brushed, gloss-varnished and with visible or smoothed welding seams. 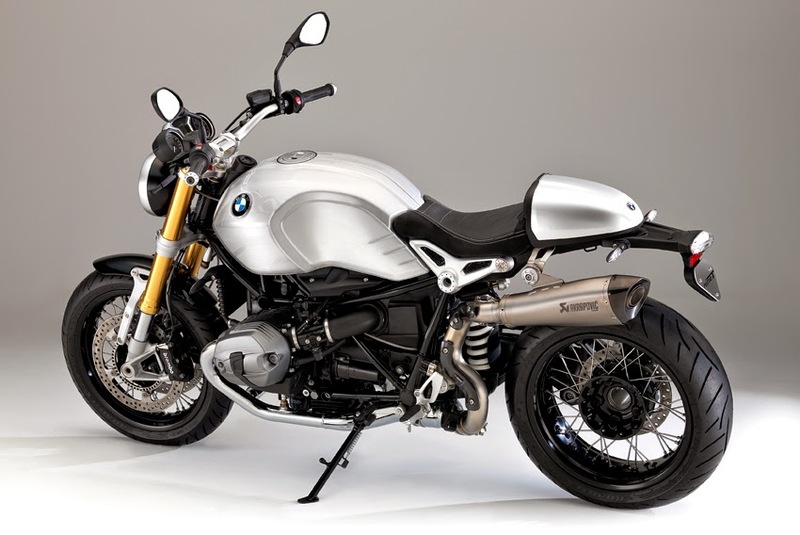 R nineT and provide exclusive looks, high-grade feel and customized character. The brushed surface is hand-crafted thereby turning each fuel tank into a unique object. In spite of all the hand-crafting involved, the overall workmanship of the fuel tank of course meets the high BMW Motorrad quality standards. Prices including 19 per cent VAT in Germany are 1,695 euros (with visible welding seam) and 1,795 euros (with smoothed welding seam). The fuel tanks are to be fitted by BMW Motorrad partners exclusively. Like the series production fuel tank, both aluminium tanks have been approved worldwide and will be available from May.